Best Baby Products : Need a Guide to buy What and Where? We all need a guide where to buy best baby products,household items and goods. Sometimes we feel very much exhausted because of the hectic schedule of our works. Getting stuck in workplace due to work or in a traffic jam makes you feel helpless. There is nothing you can do unless both give you a green signal. And the worst part is, it repeats itself on a regular basis. I have undergone this situation a lot of times and do not wish the same for you. During this to and fro run, I almost forget to shop the most required items of groceries, baby products daily consumables and so on. It doesn't even hit me during the rush of purchasing what I am taking from where. Are you purchasing Healthy Toys??? Think once Again!!!!! Well, if you too have suffered this, pray not to face it anymore. Among these routine talks, I forgot to focus the torch where I wanted. That is " Grab the best for my family and keep them masked from daily rush". Best Baby products for baby?? I hope the answer does not make you wait longer and agree with my opinion. Till there was no any Mrs word with my name, wandering at some local shops, malls and online portals could fulfill my shopping list. A bunch of best reviews, product suggestion and shopkeepers promises used to assure me enough about the product. But after being a Couple, I use to ask my better half about it and purchase the items from the stores as directed by her. Best Baby products for my baby, fine and fresh groceries, good quality daily consumables spots are on her fingertips. Even after being a housewife, she knows all the stores and best part is from where to purchase what. I use to get amazed by her knowledge a couple of times especially when it comes to our baby. From the safety pin to the toddler or from shoes to combs, she keeps all the buying lists ready before their necessity is called up. Apart from taking care of herself and the baby's health , she keeps reminding me of my watch, wallet and the keys. So now I have made a tendency to ask her instead of anyone else to purchase the materials and also the recommended store. I still recall it when she answered very genuinely " I know what I must know ", in response to my question how she gathered this much information about all products. Being a buyer class of "until need turns up", my search ends at some online portals or mostly a couple of shops around my locality till now. But the care issues of the baby and family has drawn me more to product reviews, ingredients and nutrients. As usual, the best part of suggestion always comes from her side. There are so many sources available in today's market where you can see, compare and negotiate the different products easily. All the knowledge and information about products avails today in a couple of moments. Yet in my case, the search always ends on her. Seeking her help and her support has made my family and especially our baby more healthy, safe and fit. Choosing Disposable and Comfortable Diapers?? One of the most important product for babies is Diapers. Apparently the common point to be taken care of, is their digestion and wetness. Infants require feeding in every 2 hours time. So being a parent we have to make sure their digestion remains good. Now comes the next challenge, to keep same safe from wetness. In early days when babies can’t express their feelings, it's very difficult to identify their needs. To ensure that wetness is not the cause of their crying, one of the most favored thing is to use diapers. Surely there are a lot of options available in the market to choose best for our baby. Most of them meet the purpose and are good indeed. Still being a parent, it always hits us while purchasing the diapers. During this search I found a product very useful and reliable. Disposable and comfortable too for baby. Of course it was one of the products of Pampers which helps to take care all the wetness issues. It satisfied me very much at all points of concerns in providing best for my baby. Hope it suits you too and your baby. 1. 3 Extra Absorb Channels that help to distribute wetness evenly . 2. Magic Gel for up to 12 hours of dryness. 3. Flexible waist band that adopts to baby’s movements. 4. Breathable soft belt & leg cuffs to help air circulate and keep baby’s skin fresh. 5. Baby lotion that helps protect baby’s delicate skin from diaper rash and irritation. Buying Safe and Healthy toys?? Think once Again!! The title Safe and Healthy toys may surprise you and probably you could doubt my concerns. But yes, it's a burning issue of current times. How?? Let me enlighten what I meant with Safe and Healthy toys . As the babies start to respond our voices and acts, the very first thing which is handed over to them is Toys. Not a big deal, every parent buys some toy or sports item for its kid. Have you checked about the material of the toy you just purchased!!!!! If it's a Yes, then surely you are parenting your kid nicely. But if it's a No, you must start enquiring about it from now onwards. All I want is to bring your focus on the material of the toy, your kid is using now. 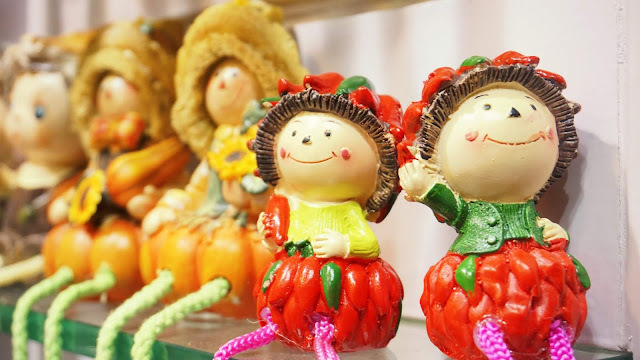 Why to think about the material of the toys before Purchasing??? 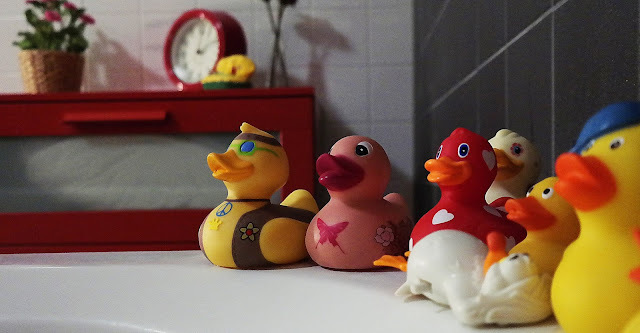 Well, Many of the Researches and Articles have confirmed that some of the available toys in the market are not suitable for your baby's skin and health. The cause behind is their material, of which they are made. Reason behind this may be cutting down the price, unavailability of good raw material or whatsoever, it is not our point to discuss. Leave it to the manufacturers. What draws our attention is if these altered quality goods are safe for our children. Rising cases of child health issues and safety will make you think twice before purchasing the toys. Healthiness of the babies is the most important thing. Why not to start it from toys. What actually happens is when your baby plays with these toys, it comes in contact with the baby's skin, eyes, nose and tongue sometimes. If the material used in these toys is not good, it can bring harmful effects on your baby. Skin allergies and other health issues are just in the row to be taken into count. So, purchase the toys only from trusted manufacturers and suppliers in order to keep your baby healthy and fit. Go through the material description used in manufacturing of that product and then purchase it. 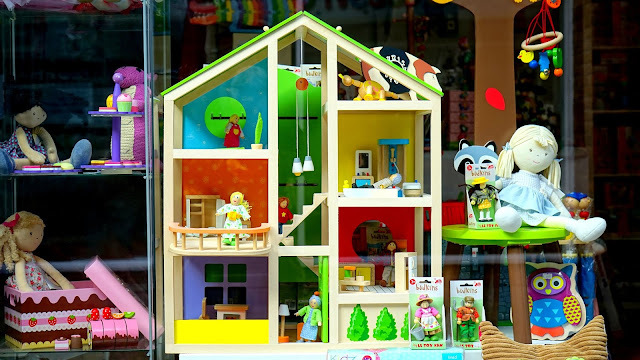 Always opt for a quality check comparatively on the toys from the next time which you are buying for your kid. A little care and consciousness will increase your kid's healthiness and safety. Perfect baby gifts are always tricky to choose .Without having any idea about occasion, it might be tempting to spring for every new baby gifts on the market. Keep in mind that for the first few months of your baby's life, he won't even know how to play with them. That means you can probably hold back on buying up the store--at least for a little while. Inevitably, however, there will come a time when your baby will start to discover the world around him and you will want to provide him with fun, stimulating toys that help him develop and grow and reach those baby milestones. Buying every amazing toy option will cost you a fortune, so use some of these tips and tricks to rein in your budget. You don't need to be the craftiest mom on the block to make some easy toys for your child. Make a homemade drum from an empty cardboard box and wooden spoons; glue construction paper in different shapes to Popsicle sticks and play peekaboo. You could even hand your baby a set of plastic measuring spoons to shake around--trust us, she'll love it. 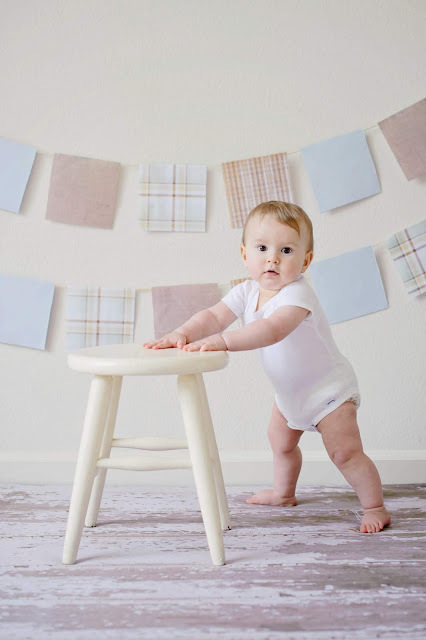 The blocks in your baby's room may seem simple to you, but these and other playthings are integral to how she finds out about the world around her. By putting them in her mouth or banging them together, she makes important discoveries about shape and sound. Engaging your little one by talking, singing, and playing games will motivate her to explore even more, as she incorporates these classic toys into her day. Your baby's vision develops gradually during her first year. And crib and play-gym mobiles will encourage her to focus her eyes and learn to track moving objects. Look for a mobile baby gift with bright colors and bold geometric shapes. Red is believed to be the first color that infants see clearly around 4 months. But contrasting colors, like black and white, also help her notice patterns. Shapes with sharp lines, spirals, and bull's-eyes will hold her attention best. Remove the mobile from her crib once she's able to sit up because she could reach and pull it down, posing a strangulation risk. Babies love anything that makes noise, like toys with textures that crinkle and squeak. Look for ones that your infant has to shake to produce a sound. Though your baby will watch you handle a toy when he's a newborn. At around 3 months, as his hand-eye coordination starts to improve, he can reach on his own if it's lying near him. He may just swat at it, but by about 4 months he'll be able to grasp and hold it. Whenever the child grasps and bangs two blocks together, she's honing her fine motor skills. Because babies master new abilities through repetitive play, she may keep hitting them together again and again. Swap baby gifts in blocks of different sizes and textures -squishy, plush, wooden, or plastic, to help her learn how to change the shape of her hand when picking them up.